Hard to find materials, next day deliveries and manufacturing. Source 1 Alloys is a global supplier of specialty metals for the aerospace, power generation, petrochemical, medical, commercial, oil and gas, and other manufacturing industries. We specialize in nickel, cobalt, titanium, and stainless. With over 15 years of experience we can meet all of your manufacturing needs from the smallest order to a full bill of material. Small orders, next day deliveries, hard to find materials and manufacturing services are our specialty. 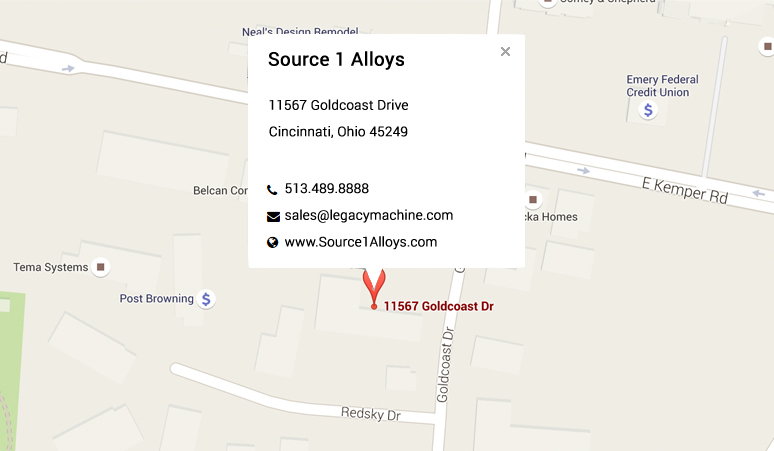 Source 1 Alloys is committed to quality and prompt service. Contact us and see for yourself why we stand out in the crowd. © 2015 Source 1 Alloy. All rights reserved.